AFTER A ONE-MONTH dip in prices, motorists are paying more for petrol and diesel. That is according to the latest AA fuel price survey. According to the survey, a litre of petrol now costs an average of 137.6c, up from an average of 137.0c in March of this year. 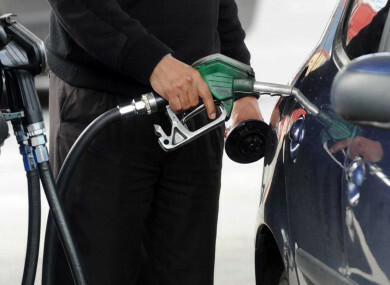 Meanwhile, diesel prices currently sit at an average of 127.1c per litre, up from 126.5. While both fuels remain below their 2018 highs of 138.2c for petrol and 127.3c for diesel, the latest increases brings an end to a brief one month reprieve for motorists after prices fell last month, marking the first drop at the pumps since July 2017. If you live in the capital, you can expect to pay 1c more than the national average on both fuels. The average price of a litre of petrol in Dublin is currently 138.5c per litre, while a litre of diesel in Dublin will cost 128.0c on average. Motorists would have been hoping that the dip in pump prices that we saw last month was the beginning of a new trend, but unfortunately it appears that was the exception and not the rule. While prices are still down slightly on their 2018 highs, many motorists will be feeling the effect of rising prices and the ever-increasing cost of commuting to work. Faughnan says that motorists should shop around when looking for petrol. The United States had already eclipsed Saudi Arabia as the world’s second largest crude producer with the OPEC kingpin pumping just under 10 million bpd while meeting its agreed production cuts. Email “The price of petrol and diesel has gone up again”. Feedback on “The price of petrol and diesel has gone up again”.